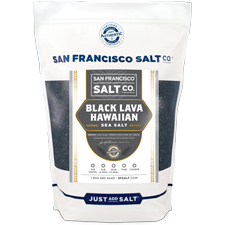 Black Hawaiian Lava Sea Salt is made by infusing pure sea salt with pure, premium quality activated coconut-shell charcoal. 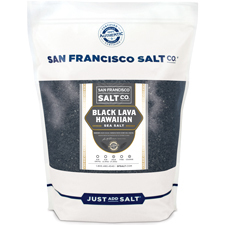 Our Black Lava Salt is harvested from the Pacific Ocean using ancient, traditional methods of solar evaporation to collect the salt and its natural trace minerals. Our sea salt is then infused with Activated Coconut Charcoal, which gives it it’s dramatic black hue and skin detoxifying properties. Also available in Fine Grain.